Ideal for the family holiday, these durable beach shoes can be taken anywhere. Built-in orthotic foot beds stimulate a massaging effect as they move. An ankle strap keeps the shoes firmly in place, so whether the little ones are exploring rock pools or wandering around town, their Crocs wont step out of line. Crocs are naturally very hygienic shoes. The foot beds are resistant to the germs that lead to foot odour, so no more cheesy feet. Ventilation ports on the top and sides of the shoe allow air, sand and water to filter through the shoe. 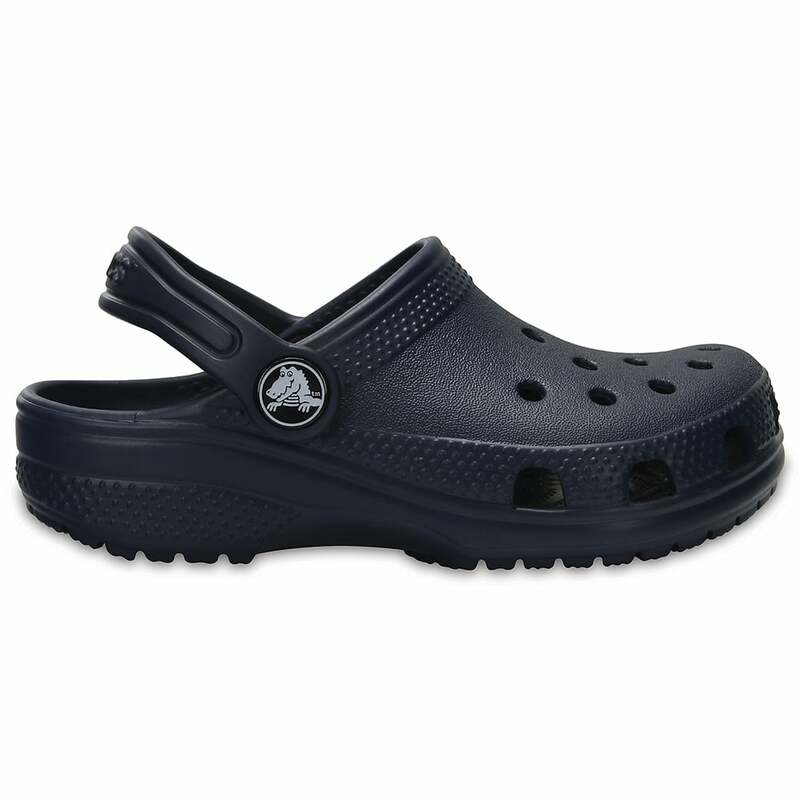 The stylish Croc Cayman is adaptable to life on land and at sea. Paddling in the pool, building sandcastles or even helping the kids learn to swim. These shoes are so light that its not just the water wings that float. Moulded form a patented closed cell resin (PCCR), our footwear is uniquely comfortable. Croslite is extremely soft and becomes flexible with body heat, providing a customized fit for the smallest feet in the family. Size as stated. Only a single size. Efficient service, prompt delivery and good correspondence. Excellent as described by the lady on phone.